Do More Amps Mean More Power? Can Vacuuming Ruin Your Carpet? Given the range of models, styles, and sizes of washers available, there are many things to consider when shopping for a washer to ensure your choice will be adequate for your family's needs. Installation requirements are also of prime importance, as are the costs of the appliance, including the both the purchase cost and the cost of operating the washer over its lifetime. Although installation is a prime factor for any washer, the first decision you need to make is what type of style of washer you want. A traditional top-load washer costs much less than most front-loader or high-efficiency top-loaders, but conventional machines cost more to run (due to greater energy use) over their lifetimes. When space is limited, you might consider a stacked washer-dryer in one unit, also called a laundry center, or a pair of smaller front-load laundry machines that can be stacked. For apartments, a washer-dryer combo may be the best option. These are single units that handle both washing and drying and typically fit under a standard kitchen countertop. Some don't need an air vent, making them easy to retrofit into a rental apartment. Washer capacity relates to the volume of the interior drum and is measured in cubic feet. On average, a 3- to 4-cubic-foot washer can accommodate 12 to 16 pounds of laundry. A 5-cubic-foot machine can hold up to 20 pounds of laundry. Keep in mind that the recommended size of load depends on the washer model and manufacturer. 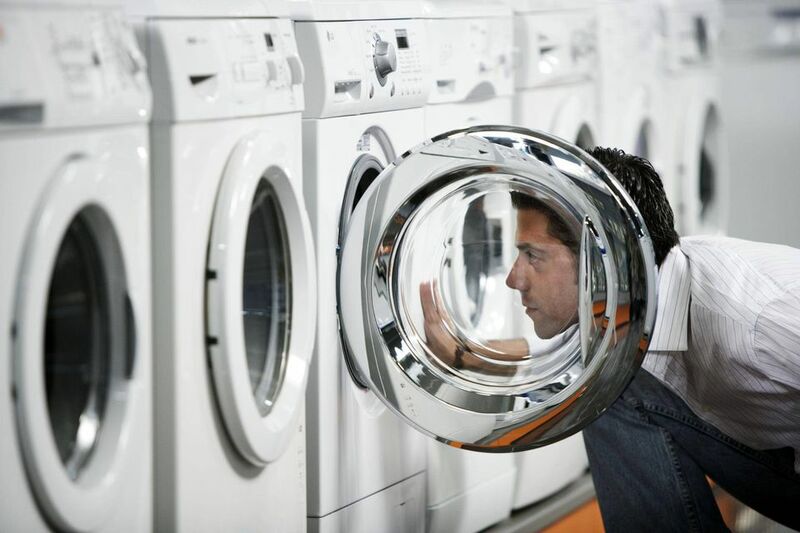 The physical size of a washer relates to its outer dimensions--height, width, and depth--measured in inches. In addition to the unit itself, you'll need 1 to 3 inches at each side, 4 to 6 inches at the back of the washer, and 20 to 25 inches in front for the door (or about 20 inches above for top-loaders). Most washers require plumbing installations, with the exception of some combo units or compact spin washers that can be connected via an adapter to the kitchen faucet when required. If your home is not washer-ready, you may want to consult with a plumber before buying a washer. Consider washer/dryer positioning for ease of use when planning a spot for new laundry appliances. For utility hookups, washers need a 20-amp, 120-volt electrical outlet as well as hot and cold water supplies, and a drain connection. Conventional electric dryers need a 240-volt dryer outlet and a vent duct leading to the outdoors. Gas driers need a 120-volt outlet, a gas line connection, and a vent duct. The traditional top-loader is more comfortable to load and cheaper to buy. High-efficiency washers, available in both top-load or front-load models, cost much more but are water and energy savers, with front-load models having the best energy ratings. Front-load washers also typically have the highest spin speed, leaving less water in the load, which means less drying time. High-efficiency models require low-sudsing HE detergent, due to low water levels, and they require a little more care. They also tend to have more cycles and convenience features than traditional top-loaders. Warranty periods generally are a year regardless of washer style. Front-load, high-efficiency models lead the pack when it comes to saving electricity and water, but all washers generally have better energy ratings than they used to. For the best energy efficiency, buy an EnergyStar-rated washer. Also, take the time to compare the Energy Guide figures for competing washers. These are the familiar yellow stickers from the U.S. Department of Energy that tell you how much it is likely to cost to use each washer model per year. Traditional top-loading washers have fewer washing cycles and shorter wash times than most high-efficiency models, but they also may not wash clothes as effectively. Front-loaders have shown better performance and are gentler on clothes because they have no agitators, but washing cycles are usually much longer. Regardless of type of washer, look for water level options for small, medium, and large loads, and water temperature settings so you can wash/rinse with cold water if desired. A permanent-press or casual wear setting that has a low spin for reducing wrinkles is another great feature. A delicate or handwash cycle also is very handy. Other features include steam, delay wash, stainless steel non-rusting washer tub, extra rinse, presoak, dispensers for softener and bleach, and end-of-cycle signals. Some models also have automatic self-adjusting water temperature and level features. 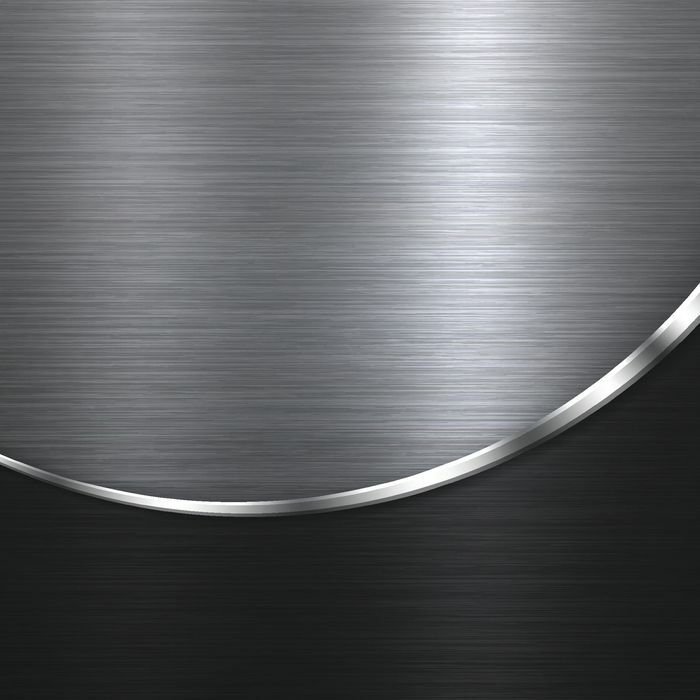 What's the Big Deal About High-Efficiency Washers? Do You Need a Dehumidifier in Your Home? How Long Do Appliances Last?